Directly across from Suraj Patel’s Manhattan campaign headquarters stands the Great Hall of Cooper Union, where in 1860, Abraham Lincoln, Republican presidential candidate from Illinois, appeared before Easterners in a reportedly ill-fitting suit and gave a speech that helped him improve his underdog status in campaigning for the White House. 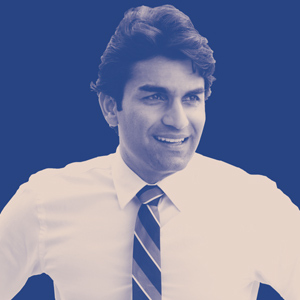 Patel, 34, an Indian-American hotel owner born in Hattiesburg, Mississippi, and running for Congress from the 12th Congressional District, takes pleasure being in such close proximity to history, as he himself is in the process of making history. He, along with nearly twenty other Indian-Americans in ten states, comprise the largest contingent of Indians ever to run for Congress. Mostly American-born, they include both previous office holders and rank political amateurs. What they share with other Americans running for Congress this year is the belief that Congress has let America down and that they can do better. (Left) Suraj Patel, Democratic candidate running for New York’s 12th Congressional District, which includes most of Manhattan. Patel, perhaps an even bigger underdog than Lincoln, seeks to unseat Democratic incumbent Carolyn Maloney. Like many first-time candidates, he is hopeful that a nationwide distaste for professional politicians will help him defeat Maloney, 72, who has been holding congressional office since 1993. 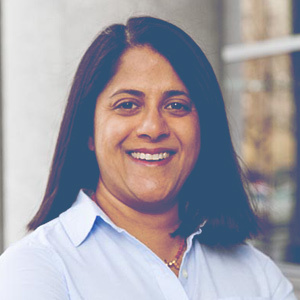 Similarly, Saira Rao, 43, candidate from the 1st congressional district in Denver and also a first timer, must contend with Diana DeGette, House member since 1997. By contrast, Dr. Sapan Shah, 37, a physician and lawyer from Chicago’s 10th district, went against Democratic one-termer Brad Schneider, and lost. (Left) Aruna Miller is running from Maryland’s 6th district, where she has been a legislator in the House of Delegates since 2010. 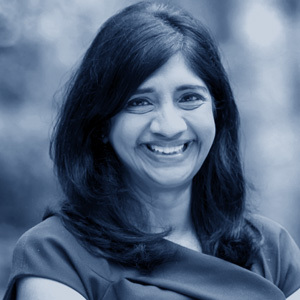 While the others are facing incumbents, Aruna Miller, 53, of Maryland’s 6th district, is hoping to replace fellow Democrat John Delaney, who has decided to abandon his seat to plan for a 2020 presidential run. Landing in Poughkeepsie, New York, to join her parents and siblings, she was distraught about having been separated from her grandmother, the only “mother” she ever knew. Among his concerns: mass incarceration of African-Americans, lack of universal healthcare, and soaring education costs. “Students shouldn’t have to take on twenty years of debt as the price of getting a college education,” he said. Patel emphasized that as president of Sun Development, with almost 200 employees, he is very much pro-business. He maintains that business would benefit from a healthier, better educated population, and more, not less, human capital, which mass incarceration deprives. 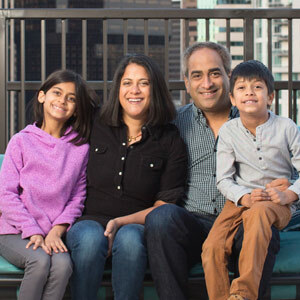 Saira Rao, candidate from the 1st congressional district in Denver, seen here with her family. Saira Rao’s own position on race is a radical departure for an Indian-American running for public office. Previously identifying with white Democrats like the Clintons, she was transformed by the emergence of outspoken black, Latina, and other women of color following the Trump victory. Their activism made her rethink her role as a brown-skinned woman in today’s America. Citing her lack of self-awareness, she goes on to say, “I was a brown woman trapped in a white feminist’s world.” She chose to align herself with those women of color whose support she now believes the Democratic Party took for granted while ignoring their core concerns about racism and poverty. In her open letter to the Democratic Party, published in Huffington Post (12/16/17), “I Am a Brown Girl Who’s Breaking Up with the Democratic Party,” she declares, “You are a party of white feminists, of white feminism that focuses on the struggle of white women.” She later explained that it was only the party establishment with which she was breaking, not its ideals. The race issue has deep roots in her life. Raised in Richmond, Virginia, she was taunted by peers with Native American war whoops. Her father, an ER doctor from Coimbatore, Tamil Nadu, was condescendingly referred to as “the chief.” Her mother, a Christian physician from Mangalore, had to endure the “n-word” and patients refusing to be treated by her at the VA Hospital, because she was nonwhite. Like the other two Democrats, Rao is from a diverse, reliably Democratic district. All three candidates are opposed to taking corporate PAC money. Each has vowed to oppose Citizens United and support a national health care system if elected. (Left) Dr. Sapan Shah, 37, a physician and lawyer from Chicago’s 10th district, describes himself as a moderate Republican. 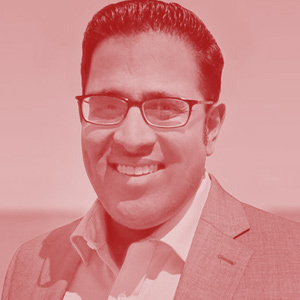 Dr. Sapan Shah, born in Waukegan, Illinois, the hometown of comedian Jack Benny, maintains a more sanguine outlook than Rao on Indians and race in America. Americans for the most part, he believes, have a “very positive stereotype” of Indians based on attributes from which he draws inspiration and political direction: business-minded, family-focused, professional, and by and large conservative, while voting mainly Democratic. He takes pride in the fact that the Indian community is open to almost every gradation on the political spectrum. Even in her Democratic-controlled Denver area, Rao observed, the undocumented are fearful of seeking health services, going to the police, even picking up their children from school, not knowing if they themselves will be picked up and deported. Bipartisan by inclination and approach, Miller enjoys the challenge of working with Republicans in her deep blue state. She is unintimidated by the hyperpartisan politics awaiting her in Washington. For her, one of the keys to ending this ordeal is to end gerrymandered districts and what they engender: the dividing of America into solidly red or solidly blue territories that perpetuate partisan politics and defy change. Robert Hirschfield, a freelancer based in New York, has written for Outlook India, Sojourners, The Jerusalem Report, and The Writer, among other publications.